If your Software Version is PKG2.120GAB or higher, your TV does not need this update. If you decide to download the update, a USB storage device, such as a Sony® Micro Vault® device, or something similar, is required to perform the update. Sony is aware that not all USB storage devices are compatible with our TVs. 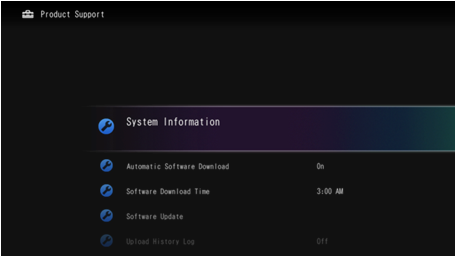 If the software update does not automatically begin when you connect the USB storage device to the TV, you may need to format your device to the FAT32 file system, or use a different device. 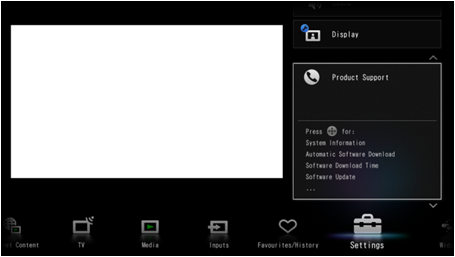 Download the sony_tvupdate_2012_2120_gab_auth.zip file to a temporary or download directory (please note this directory for reference) on your computer. Go to the directory where the file was downloaded and verify that the size of the sony_tvupdate_2012_2120_gab_auth.zip file is 95,407,979 bytes. a. Right-click the sony_tvupdate_2012_2120_gab_auth.zip file, and click "Properties". b.. On the "sony_tvupdate_2012_2120_gab_auth.zip Properties" screen, verify that the "Size:" listed is "95,407,979 bytes". c. If the file size is different than the "95,407,979 bytes", please download the sony_tvupdate_2012_2120_gab_auth.zip file again. 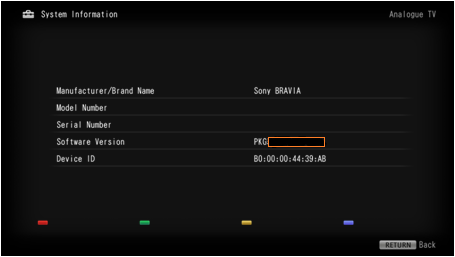 Extract the update file from the sony_tvupdate_2012_2120_gab_auth.zip file. a. Go to the directory where the file was downloaded and right-click the sony_tvupdate_2012_2120_gab_auth.zip file, and then click "Extract All. c. A new folder will be created called "sony_dtv0FA20A02A0A2_00011201"
e. A new folder will be created called "sony_dtv0FA20A02A0A2_00011201"
a. Go to the location where the file was downloaded and double-click the sony_tvupdate_2012_2120_gab_auth.zip file. b. A new folder will be created called "sony_dtv0FA20A02A0A2_00011201"
For Windows® XP operating system: Go to the directory where the folder was created, right-click the sony_dtv0FA20A02A0A2_00011201 folder and, from the menu, click "Send To...", and then click the drive (E.g. Removable Disk E:) that represents your USB device. The update folder will be copied onto your USB device. For Macintosh® OS X operating system: Drag and drop the sony_dtv0FA20A02A0A2_00011201 folder to the root folder of the USB device. Note: The software update takes approximately five minutes to complete. During the update process, the screen on your BRAVIA television will display progress information, or may be blank. This is normal. During the update the POWER indicator will be green for 30 seconds, followed by the PIC OFF/TIMER indicator slowly flashing amber, and the STANDBY indicator is red. If your software version is PKG2.120GAB, the update was successful.